Whether invading or defending, there was a time when the horse was critical for the fight. He could travel faster than the people on foot. He could deliver messages to groups in an army. He could intimidate the individual soldier by rearing up and lashing out. He could run pulling a chariot loaded with archers into the midst of conflict. During medieval times, these magnificent chargers even had their own armor. They were priceless and not for casual use. Trained to do battle, they would leap and kick at enemy soldiers on command. Even today, you can see these maneuvers done in the Spanish Riding School of Vienna by the Lippizan horses. They maintain them as a matter of tradition and respect for the past. In the old west, horses were used in battle and what was unquestionably a war with the natives already living there. They were also used in battles between tribes. In a land where justice was rough, horses were so valued you could be hung for stealing one. The role of horses in war has gone now, except for show, ritual and memorial services. And in many ways, this is a good thing. Many of us who have worked or ridden horses may wonder at the role of the horse in war. We remember horses that jump in fear at shadows and wonder how any horse could face an army. But a steady hand will often work wonders to a nervous mount. And it’s worth noting that horses are warriors, for themselves, in nature. The Lippizans perform the ‘airs above the ground’ or battle leaps, even as foals. In the wild, stallions defend the herd from other stallions and predators. In any event, horses have been involved in the course of all but the most recent battles and wars on earth. They have been a deciding factor in who lives and who dies. And there are few of our fellow creatures who have been so loyal at our sides. The Shire horse is descended from the medieval charger. They had to be strong and powerful to carry a fully armored knight as well as their own armor into battle. Welcome to the first blog post on horses and what they meant to society. Yes, I said FIRST. This is inspired by recent arguments regarding the question of horses and slaughter for food. I’ve seen a fair number of people ask “What’s the difference between horses as meat and other animals?” I hope this series will help. Long ago, somewhere so far back no-one can recall, someone discovered a horse was more than meat. They could carry or pull loads, or even people. A tribe, a clan or group of people living in harsh conditions and struggling to survive could do better than eating horses: they could use them to carry them to someplace better. Someplace where there was ample food and supplies for everyone. Thanks to the horse, the ocean and highest mountains are the only limit. As long as you feed and water the horse, he will take you to where you can feed yourself. He can let you range further afield from your home and get back in a day with the results of your quest for food. He can take one further to trade for food or other supplies. He can carry messages to neighbors and kin who are further away. Now we take it for granted. Most of us are used to having cars, buses, bikes, trains and planes to travel. We have phones and faxes and internet for messages. But it all began with the horse. Of course, sometimes people still bumped into each other and challenged each other over who got the food. But the horse in war is another post. Stay tuned. This Draft Horse is walking through the snow, delivering a load of teddy bears. It’s easy to get overwhelmed by life. So many issues, who has time to research them all? It’s so easy to just ‘believe’ what we want to believe or what we are told by the government, corporation, boss, coworker, friends or family. But sometimes the little issues we ignore are the small stones preceding an avalanche. And sometimes the politicians and big corporations are using some issues to direct us from others, so that we don’t consider the danger: if they will lie and sell out in small areas, who is to say they aren’t selling out in others. Sometimes you just have to speak out. Some of us use our voice. Some use bumper stickers, or hats or t-shirts. Some even use graffiti. Our art is our voice and when we ignore the signs it’s the first thing that has funding cut. Teach the kids math they think not art, as if creative problem solving and expression isn’t just as important in life. We’d rather go for pop culture thought. So try this one: Take a look at the history of the Star Wars galaxy. A great Republic is deceived by one man from within and destroyed. That’s not just fiction. It’s the history of our world too. It’s a case of misdirection. We get busy looking at the ‘big’ issues that the ‘big’ news covers and we miss that issue over on the side that is evidence of the corruption within. Assumption is a dangerous thing. It can cost us money. It can cost us time, or our dreams and hopes. It can also cost our ethics. You can be as loyal as you like to political parties or your favorite corporations. But if you love something, you don’t ignore it’s flaws, you try and correct them. And it takes a lot of money and influence for these people to get elected. Easy for them to forget what it’s like for those of us without it or to swing the other way and assume we won’t care what they sell out. My personal issues to go to war over (metaphorically speaking)? Well, naturally the biggest ones involve horses. Facts. Prove it, don’t just tell me and expect me to believe. Follow the money and the motives. Who stands to gain on either side? Is it really my business at all? The Bureau of Land Management’s management of wild mustangs, which they are charged under the 1971 act protecting free roaming horses and burros as American symbols of the west. I for one, wanted to believe they were doing just that, from the time I first read “Mustang, Wild Spirit of the West” by Marguerite Henry. 1. Congress asked them for proof of their decision making process and how many horses were left. They could not provide it. 2. They ask for huge funding to roundup and warehouse them even though they still have not proved the need. 3. They are trying to keep journalists out. Their is currently a lawsuit about it. But photo and video of horses literally being hit by helicopters has been captured. This behavior would get any other pilot in trouble. The horses injured in the roundups are so high in number that any civilian would be arrested for animal cruelty. 4. Fact: In spite of the law, the places the horses have been allowed has been whittled down. When they are removed due to ‘too many for the land to support’ (again, they have shown no proof) cattle move in. Millions of cattle can fit but a few hundred horses can’t? I’m no math expert but something doesn’t compute. The BLM’s conclusion: round them all up, geld the stallions and just have show herds. Their reason: they are overgrazing and horses non native and never mind the law. That isn’t ‘free roaming’ it’s slow extinction. No stallions = no foals = death of the wild mustang. They can’t prove the overgrazing. The horses originated here before dying out, so it’s a native species returning. But the cattle were never native. They can’t prove the horses numbers. But even their claimed ‘goal’ of how many horses left takes us to a level too low for them to survive given the genetics involved. That can be proven. It’s MY LAND and YOUR LAND, yet the Bureau of Land Management and the local states and ranchers act as if it’s all ‘THEIR’ land. It’s the land of American citizens. All of us, not just them. And it’s MY MONEY and YOUR MONEY. So our government claims it’s out of money yet they can supply the BLM with millions of this money for roundups and holding of mustangs without any proof. Why? What is the Bureau of Land Management and Department Interior’s Motive for this? The head of the BLM is a rancher and the board tends to elect those with like minds. Some have tried to get the BLM to combine with the Office of Surface Mining. 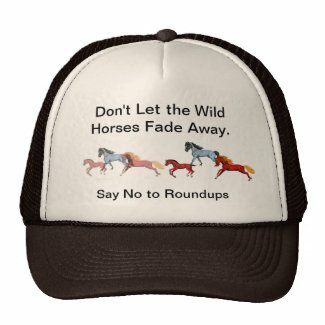 What do the opponents, those who resist the roundups have to gain? Big bills as they drive to the roundups and try and witness them. Bills for land, rooms, and transportation and meanwhile time off from other jobs. More bills as they fund lawyers who are going against other lawyers who are paid by the deep pockets of our own government. The final warning on the BLM though is their response to criticism. They repeat the same old line without answering any scientific challenge, ignore all protests in meetings, keep the rounded up horses on private land so no one can witness their treatment and just try protesting on their website. They flat refuse to take emails in objection. Sometimes they say it but others it just doesn’t work. Normally I’d think that was just a glitch. But not now. The worst part they claim they keep journalists out for their own safety. Right. Journalists with horse experience.Journalists are embedded in war zones with the military and going out in hurricanes and disasters. But they can’t watch a roundup? They might spook the horses. More than the helicopter hitting them spooks them? These design ideas hit me whenever I get…MAD! I expect they’ll keep coming. It’s an odd form of inspiration born of fury. Fury that my country is being corrupted. 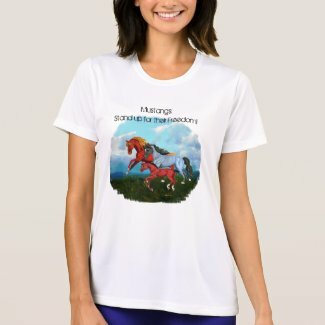 I suddenly experienced an upsurge in my ‘Don’t let the Wild Horses fade away’ designs at Zazzle. Not surprised, its’ bumper stickers. Think I’m the only one whose concerned at the deception? 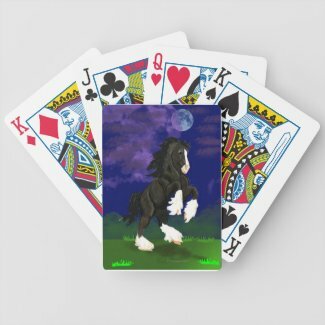 I’ve also sold several: “Mustangs are an American Heritage, Don’t You Dare Sell out My Share’ featuring a buckskin charging. I’ve got one whole Cafepress shop devoted to a bay stallion battling a mountain lion. T- shirts, mugs and more. That idea would be easier than battling humans. At least the lion just wants dinner. No, humans are a worse predator. We take more than we need and show little little at the long term damage. Don’t take what I say at face value. Research it yourself, just for a few minutes a day if you can. If you won’t or can’t buy my t-shirts or bumper stickers, at least speak out and spread the word. Sign the petitions. Let your political leaders know that it’s your money and land and you want accountability in how it’s used. Oh, and regarding creativity: nothing against cows, but when is the last time you were inspired by one? But the sweeping beauty of the west, the galloping wild horse have inspired true history and fiction, art and beauty, called out to tourists who are shocked to arrive and find the same horses are being wiped out. The Mustang is a symbol of freedom as surely as the American flag and bald eagle. It symbolizes the hard working cowboy, the native american battling for his land, it even has a car named after it. What is it worth to me? Will I ever get to see a wild Mustang? I don’t know. I live in the East. But they are mine too, not the local western states. And I have seen the wild Chincoteague ponies during the annual roundup. One sight of how packed that town is and the idea that horses aren’t a tourist attraction gets blown out of the water. What about the people who claim they are cockroaches? Hm. Funny. I’ve never heard of a cockroach being a cow pony, or inspiring movies or winning Dressage championships like Pedro. And a horse only foals once a year and a wild one has no guarantees of survival. As far as I can see, the only similarity to a cockroach is that a horse is a life form. One thing I guarantee you. 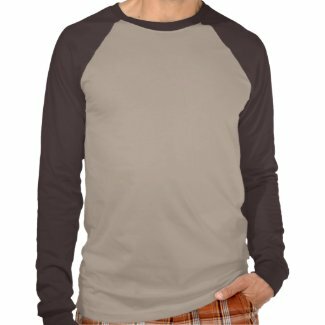 I don’t come up with these designs just because I’m looking up for a sale. The inspiration has to go somewhere. It may as well be into the art. It’s up and ready, complete with music. It features my illustrated horses in exciting poses. Done in Imovie it is complete with music and sound effects. I’m eager to keep going and have several ideas for more. I’ve set up an all new channel, including other people’s videos I find inspiring. I’m also working on Flash, although the storms lately are a major issue. I won’t stay on a plugged in machine during thunderstorms. It’s different with a laptop of course. I now have a wacom bamboo pen tablet working on both machines and I’m head over heels in love. It came with Corel Painter Essentials 4 so I’m experimenting with that too. Finally, I’m also still wrestling with this WordPress thing, since it’s determined to not cooperate in the area of permalinks.